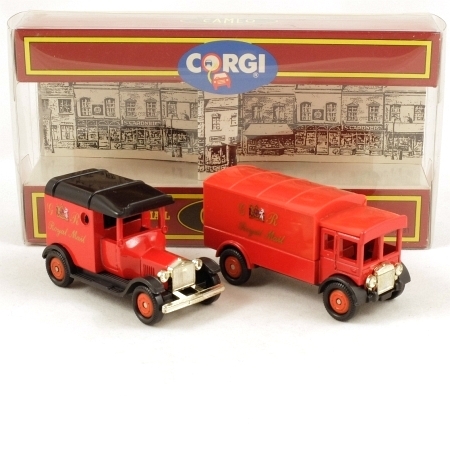 A set of two vans in Royal Mail livery; a Ford T and an AEC Cabover. Both are red with black chassis and the Ford has a black roof. They each have Royal Mail insignia on the sides in gold, red and blue. Wheels are black with red hubs. In a presentation box with illustrated card inner and rigid clear plastic outer.